Leonardo’s Vineyard: book your tickets now! WHY VISIT THE LEONARDO DA VINCI'S VINEYARD? Leonardo's Vineyard is an unusual and fascinating place in the city of Milan that still retains the atmosphere that the artist loved. It is located in the garden of the Casa degli Atellani, has a rectangular shape and, originally, covered an area of more than 800 square meters. Currently Leonardo's Vineyard with the Casa degli Atellani, the Basilica of Santa Maria delle Grazie and the Cenacle represent the essence of Renaissance Milan and the period in which Leonardo da Vinci worked there. In 1498, the Duke of Milan, Ludovico il Moro, presented Leonardo da Vinci with a vineyard located in the middle of the fields at the bottom of Casa degli Atellani's current garden. The Atellani were a family of Sforza courtiers who had received two houses as a gift from Ludovico il Moro. The Duke of Milan, dreamed of building a neighborhood where his most loyal men, such as Leonardo and the Atellani family could live, making the Basilica of Santa Maria delle Grazie become the family church. 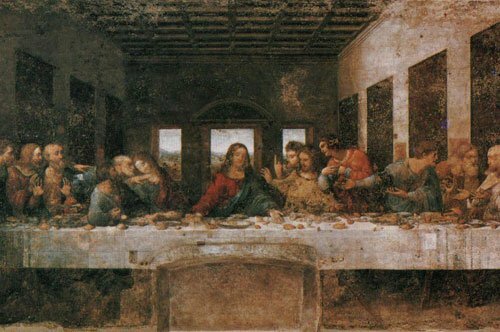 The vineyard was donated to Leonardo during the period in which he worked in the Cenacle, so that he felt at home in Milan, since Leonardo's family owned some vineyards in Tuscany. When Leonardo died, in May 1519, his will indicated his desire to divide the vineyard into two equal parts and give them to Giovanbattista Villani and Giacomo Caprotti. The first was his faithful servant, and the second his favorite student. The vineyard has recently been reopened and it is possible to visit Casa degli Atellani starting with the patio of the house, which was restored by Pietro Portaluppi. WHAT IS THE LEONARDO DA VINCI'S VINEYARD NOWADAYS? Currently Leonardo's Vineyard is one of the most fascinating places in the city. A careful and scientific examination of the remains of the vineyard has made it possible to discover the quality of the grapes grown by Leonardo, the Malvasia variety of Candia Aromatica. The tour of Leonardo’s Vineyard offers several places to visit, such as the Casa degli Atellani that preserves the characteristic aspects of the Renaissance. Inside the house it is possible to admire the Zodiac Hall, which takes its name from the symbols of the zodiac signs painted on the lunettes, the Sala del Luini, an Italian painter who painted portraits of many members of the Sforza family, the Sala dello Scalone and the study of Ettore Conti who was an engineer, senator, first president of Agip and president of Confindustria. Did you know that the Leonardo's Vineyard was recreated in May 2015 in its original place, after overcoming fires, bombings and building constructions for five hundred years? It was the architect Portaluppi who, with his restoration project, in 1920 prevented the vineyard from being eradicated. Did you know that Leonardo's Vineyard produced grapes of the variety Malvasia de Candia Aromatica? This name derives from a small town on the Greek island of Crete, once called Candia. It belongs to the group of Malvasias that unites the different types of vines to produce very aromatic wines, with a high content of sugar and alcohol. HOW TO VISIT THE LEONARDO DA VINCI'S VINEYARD?  After years, Leonardo’s Vineyard finally opened its doors to the public, it is possible to visit it by booking the tickets online that also includes the audio guide with a duration of about 25 minutes. 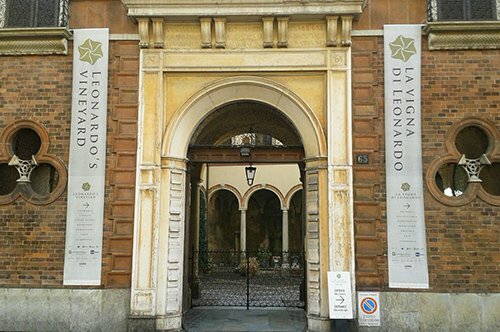 The Leonardo's Vineyard is very close to the Basilica of Santa Maria delle Grazie, where the artist's famous painting The Last Supper is located. 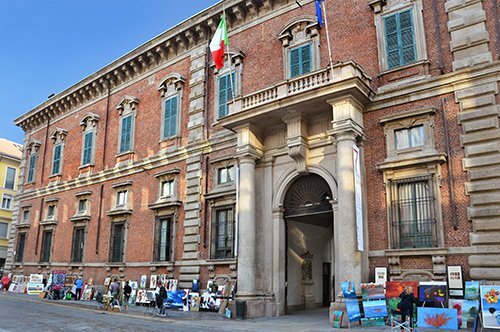 If you are passionate about art, Milan offers other important places to visit such as the Pinacoteca Ambrosiana with works from the collection of Federico Borromeo and other works acquired later, or the Brera Gallery with works of Lombard and Venetian art located in the Brera Palace. 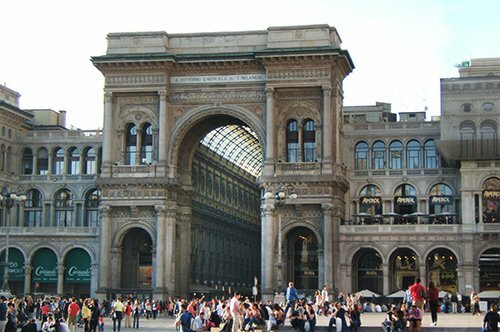 In the city center you can admire the Duomo of Milan, which is the symbolic church of the city, or visit the Vittorio Emanuele II Gallery which was known as "Il salotto di Milano" (Milan's hall). Not far from the Gallery, you can visit Piazza Mercanti, which was a focal point of Milanese life. Using the Map of Milan, you can discover other fascinating places such as the La Scala Theater, one of the most famous opera houses in the world, or the Sforzesco Castle that contains works of great artistic value such as Rondanini Pietá by Michelangelo which dominates the Parco Sempione (Sempione Park), a large park built in the late 19th century that covers an area of about 380000 square meters. 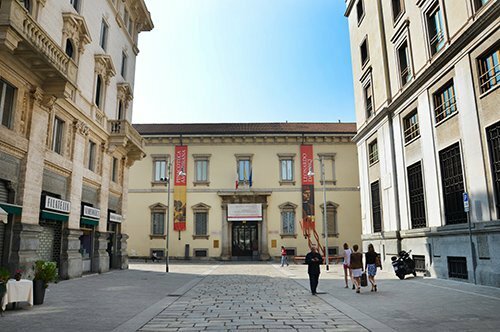 If you are interested in seeing an example of contemporary art, visit Piazza degli Affari where you will find the sculpture L.O.V.E. made by Maurizio Cattelan, located in front of the Palazzo Mezzanotte. 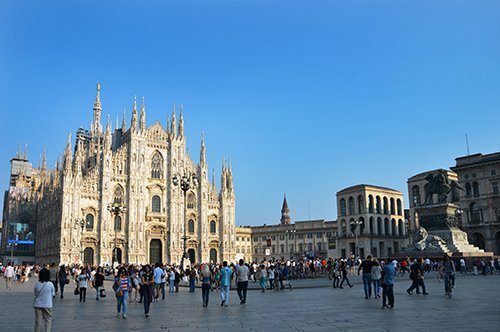 Outside of Milan you can visit other beautiful cities such as Turin, the capital of Piedmont where you will find the Mole Antonelliana, or Mantova, a city of Lombardy surrounded by lakes, where you can admire its Renaissance buildings. 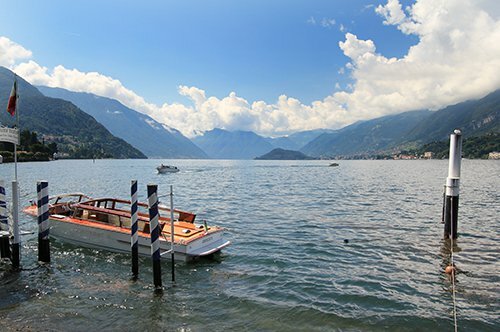 You can also visit other very interesting places such as Lake Maggiore, Lake Garda and the three cities that dominate Lake Como: Como, Bellagio and Lecco.